I’m having one of those days where I wonder – why does everything in my life have to be so hard? I just came from my doctor’s appointment (I have found a family doctor in my area and he seems competent and he has excellent bedside manners and he’s actually really nice!!! Thank you Jesus! Such doctors are SO HARD to come by). I have known that something was up with me hormonally speaking for decades now. I’ve done a variety of blood tests and ultrasounds, only for doctors to not really do anything, or flippantly tell me to lose weight (because that will magically solve all of my problems, right? I’ll have to blog about one particular episode at another time). After today’s appointment (and after I teased it out of him), my doctor told me that he suspected that I probably have Hashimoto’s thyroiditis and PCOS (polycystic ovary syndrome). My doctor sent me for a battery of blood and ultrasound tests to confirm. This is not news to me. I have long suspected that I had Hashimoto’s and/or PCOS given the results of blood tests and symptoms I have experienced over the past few years. I also have many of the symptoms — irregular periods, skin tags, acne, male pattern of hair-growth on the body (that’s why I have hair on my chin), insulin resistance (hyperinsulinemia) coupled with acanthosis nigricans and, of course, trouble losing weight. Depression has also been linked to PCOS. I also have an enlarged thyroid that is only increasing in size with each passing year. I have been monitoring my condition closely. This is why I stopped being vegan a couple of years ago. I needed a diet with adequate sources of protein to help with my blood sugar, and I needed to remove gluten and unfermented soy from my life, and veganism couldn’t offer that to me. This is not the first time that I am being sent for blood work on account of suspicion of these conditions. My doctor then asked me if I was trying to get pregnant — a question that I am typically asked when doctors suspect I have PCOS. I said no (thankfully). He said that women with PCOS sometimes have trouble with their fertility. He talked about me taking birth control to regulate my periods, but acknowledged that my hormones might go out of whack once I got off birth control to start a family, at which point he said I could/should probably see a fertility doctor (my paraphrase). This is also not news to me. PCOS is one of the leading causes of infertility among women (even though it’s often misdiagnosed or missed by doctors). When I went to see an obstetrician/gynecologist a few years ago, he also suggested that I take birth control to regulate my periods, but that it wasn’t mandatory. My endocrinologist offered to refer me to a fertility doctor if/when I was planning on starting a family. I’ve done my reading on PCOS. I know that possible infertility is a symptom. Nevertheless, I left the doctor’s office today feeling completely deflated. I felt down (hence why I’m writing this blog post!). I was once again reminded that I may not be able to have children, and that if I try to have children, an uphill battle may await me. I suppose I should be grateful – grateful in the sense that 1) I am 29 and thus still “young” and 2) I am not currently trying to start a family. This would be absolutely frustrating news if I was 36 years old and trying to get pregnant. But since I am 29 years old and single with no prospects and I am definitely not trying to get pregnant right now, this gives me some time to control or reverse or cure my conditions in the event that I decide that I would like to have children biologically one day. But I couldn’t help but wonder why it felt like everything in my life was so hard. I am fully cognizant of the fact that there are children dying of malnutrition and refugees fleeing war-torn countries. I know that some people do not have a place to sleep tonight and some people live with chronic pain. I don’t wish to trivialize the pain and hardships of others by saying that my life is hard. I feel like the aforementioned cases are not commonplace. And I have a right to feel the way that I feel. When I look on social media (damn Facebook), it would seem that everyone’s life is so much simpler than my own. A friend and I often discuss this strange phenomenon. 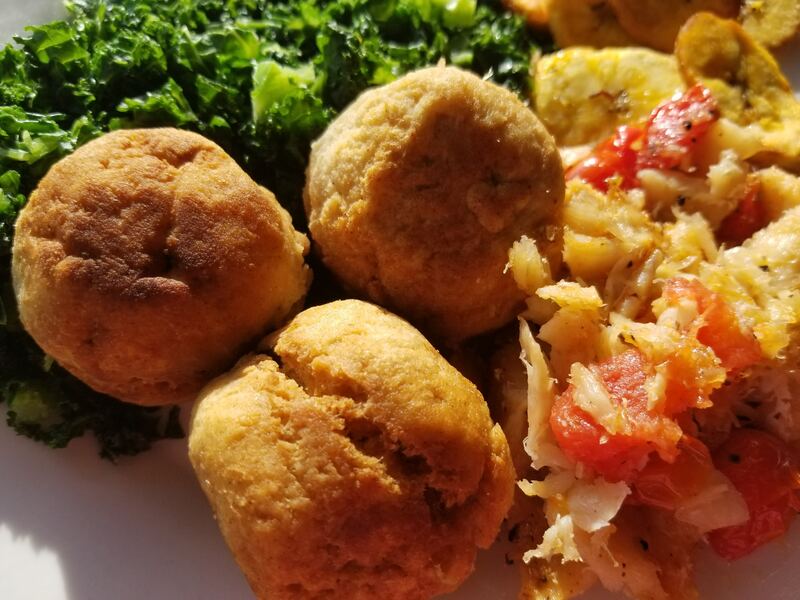 She has started a business selling organic, vegan Jamaican patties — Choose Life Foods Inc. — but she has had a hell of a time launching it and getting it off the ground (and I don’t use the word “hell” lightly). We talk about how it seems like most people our age are moving along well in life and engaging in the typical rites of passage and reaching the milestones that we all reasonably expected for ourselves — career, marriage, children, some level of financial stability. And then there are those of us (read: my friend and I and some others) who seem to be on a totally different track and who have suffered multiple vicissitudes over the past few years. I’m starting a new job with a new department soon (ok, fine — praise God), but it has taken forever to get the letter of offer. My credit and my financial future are in shambles. Phoenix Pay System (the federal government’s pay system) has gone haywire since last year and they have yet to fix it and the government still owes me some of my hard-earned pay. Calling the Pay Centre is an exercise in frustration, and I see absolutely no movement on my file after all of these months. I have failed the bar multiple times in two jurisdictions and I still don’t know what on God’s green earth I shall do with my life. My articling experience….hmm… I’ll have to blog about that some other day. I did my Canfitpro Fitness Instructor Specialist exam and failed (Like really though? For real? Really? This is the first time in life that I’m failing so much. Like can I win for once?). I submitted a book proposal to an agent who liked it and said it was “very strong” but still felt it was too niche and so she decided to pass. I know that I need to lose weight — not for aesthetic reasons because I already know that I’m fly — but because it will help with the PCOS, but PCOS also makes weight loss very difficult. And so I find myself forever exercising, forever eating whole foods, forever trying to avoid environmental chemicals and mitigate my stress, having seen nutritionists and dieticians, naturopaths, doctors and a personal trainer but still looking the same. I still find myself single in Ottawa. Being single seems like it is becoming a chronic condition of its own. It’s one thing to realize and be living the very real reality that I have an uphill climb to get married, but it’s completely another to know that as soon as I finally get married I may face another uphill climb to get preggers. I have no man, no money, no car and still no career. Why does everything have to be so hard? So pain-staking? So stubborn? So slow? I can understand that some things take time, but everything? And Jesus? Jesus is a very absent help in time of trouble. I want a divorce. I feel like my efforts are not enough, and I feel like I’m trying, and dusting myself off, and attempting to move forward but getting nowhere. I actually do try in life, and yet I have very little to show for my efforts. It feels like as soon as I finish scaling one mountain – or at least find a way of coping with it – another mountain appears. And I’m tired. I feel like nothing in my life is working. They say that you should kick at the darkness until it bleeds daylight. But what happens when you start bleeding as a result of all of the tiresome kicking? Might the blood from your battle wounds keep you from ever seeing the blood of daylight? So yes, that’s my rant. Many women become pregnant with PCOS, don’t lose hope, Jesus will help me, prayer changes things…yadda, yadda, yadda. To be honest, Jesus is the last Person I want to talk to. I have nothing else to say to Him, because I’ve said all that I have to say and I don’t like repeating myself. If Jesus were sitting beside me, He’d get the biggest eye roll ever. This is a depressing note to end off on. lol. I don’t have a take home message or a feel-good word of inspiration. Hmm… let me dig deep and see what I can find so that I can salvage this piece and not have all of you readers pitying me. I will say that in such times of utter frustration (and despair), I remind myself that it’s okay to drift sometimes. Fighting is so tiring. Rest is okay. Like Donnie McClurkin once sang, after you’ve done all you can, you just stand. You cry. You surrender. You drift. And like Noah’s Ark, hopefully God will allow you to drift to His intended destination — wherever that is. I’ve learned that just because I’m lost doesn’t mean I’m not being led. I’m here with you. You are a beautiful writer. It takes strength to admit when life is hard. And, so I praise you. Keep kicking. The daylight will bleed through. This, I promise you. Hi Simone! I love both your writing and your admission. Though you’ve prayed and think you’re tired of seeking help from Jesus, I would suggest (please don’t get offended) you seek it even more, while you continue fighting your way (you’re a Seventh-Day Adventist. Right? So, you have the faith). Believe me, my life, too, has grown into turmoil (facing health problems too). Yet, I do hope the Day Will Dawn. Thanks Lionel. Holding on to Jesus is hard but necessary. I’ve had a severly underactive thyroid gland since I was 15 and it’s often wreaked havoc on my system. I am thankful that it’s manageable with synthroid but have dealt with feelings of depression because of thinning hair through my 30s and 40s. Aside from this, I’m a huge believer in angels. My angel is my grandfather….he is the job angel in the family. Whenever I’m on the verge of needing or wanting to make a career move, he’s somehow made things happen. It also takes just one person to believe in you and to turn you into the career goddess you deserve to be. I would hope that you have an angel who’s going to step in soon to help you out.